One lead generation strategy many businesses overlook is using quizzes and surveys to get people involved with brands for the first time. I don’t particularly mind this because most implementations of quizzes and surveys I come across leave a lot to be desired. They tend to expect too much from users while offering little incentive to take part, merely adding unwanted barriers to converting. You don’t need to worry about this, though, because today I’ve got nine lead capture quiz and survey strategies that’ll get you converting users. By creating quizzes and surveys people actually want to complete (yes, it is possible), all that friction disappears and you’ve got yourself a highly effective lead generation strategy that asks very little from people interacting with your brand. Pulse offers people the chance to win John Lewis vouchers in return for filling out a survey. The challenge with quizzes and surveys is they ask a lot from users. This isn’t like they’re filling out one of your web forms because they want to buy into your services; they’re giving up their valuable time for nothing in return, which means you really have to earn their interest. The most obvious way to do this is by offering users something in return for taking part. It could be entering into a competition, a free voucher or whatever kind of incentive you think it will take to get people participating. If you hit people with the offer before they start your quiz or survey then it’ll have to be something pretty special. And there’s nothing wrong with this approach, if you’re confident people will be tempted enough by your offer to take part. 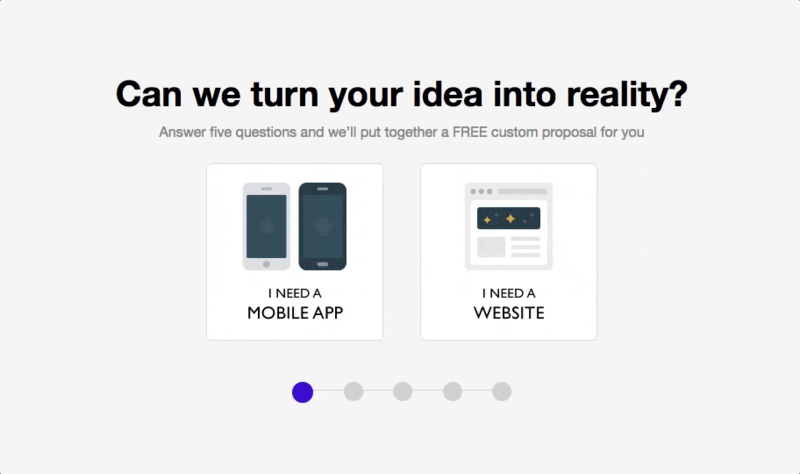 However, I tend to see better results from designing quizzes and surveys that are more tempting by their own merit and then hitting users with the offer – after they’ve completed them. You’ll get a better idea of how this works throughout the article. The rise of social media and BuzzFeed quizzes has warmed people to the prospect of quizzes as entertainment. The trick here is to really nail your audience research and understand what’s going to peak their interest. For example, if you’re targeting IT professionals with a project management platform, you can play on the typical personality/communication clash that often exists between IT technicians and IT managers. Every industry has these kinds of inside jokes and the more specific to each audience you can be, the better. At some point, you’ll want to tie this into what you’re selling (eg: your project management tool breaking down the language barrier between IT techies and managers). But all you need to do at this stage is get each audience engaging with your lead capture quiz. Nothing stays the same for long in business these days and there are constant industry developments we all have to keep up with. You can use this to make your quizzes and surveys more appealing by promising to help your prospects prepare for upcoming changes. This can be especially effective when there are changes to government regulations that affect business operation. For example, last year’s changes to workplace pensions in the UK or the ACA Employer Mandate in 2015 for businesses in the US. If you can make these changes relevant to your brand and help your target audiences deal with them, you’ve got a strong incentive to work with. Likewise, for those of us in digital industries, any major change to Google’s search algorithm does the trick – especially when they’re announced ahead of rollout. In 2015, we had the “mobile-friendly” update and this year we have mobile-first indexing to think about – both of which were announced before the changes came into effect. So in this case, a quiz that starts out by asking: “Are you ready for Google’s big ‘mobile-friendly’ update?” raises doubt in people’s minds and makes it difficult not to fill out your quiz. It’s always difficult to make a survey sound exciting. Even the word “survey” itself sounds unappealing, but I find there’s one guaranteed way to get people excited about filling these things out – especially for B2B leads. Approach your target prospects, asking them to take place in an industry report you’re putting together. Make it clear their opinions not only matter to you but other people in the industry and you want them to be a part of the report you’re publishing. Human ego will take care of the rest for you. The best part about this strategy is you can capture leads while creating your study and then use the published report to capture yet more leads as a downloadable resource. To get the maximum number of leads from your quizzes and surveys, you need to pinpoint the specific interests of your different target audiences. Once again, this starts with knowing your audiences and creating personalised quizzes/surveys for each of them, based on their unique interests. Next, you need a way to target each of your audiences with your personalised content. Thankfully, this part is quite straightforward with the tools we have available today. Your first option is to use personalisation software to segment your visitors and display the relevant lead capture quiz or survey. 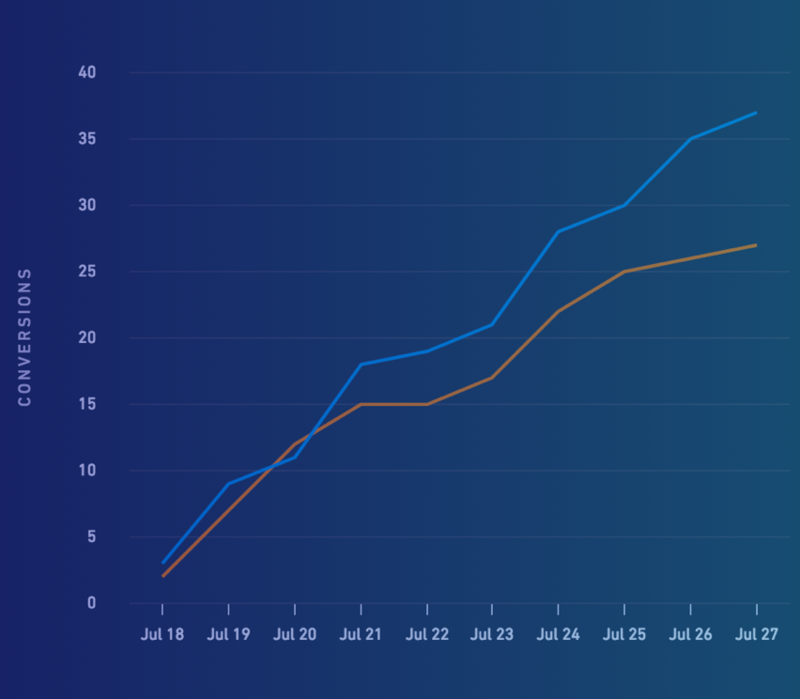 Tools like Optimizely and VWO make this approach more time and cost-effective than ever. Then you have social media, which you can use to target highly focused audiences with your quizzes – and I’ll cover this approach in more detail shortly. This one comes from Ben Snedeker who’s part of the Infusionsoft team. The magic of a good lead capture quiz or survey is you get the opportunity to get more information from users than you might otherwise be able to. This allows you to score and qualify each lead to gain a better understanding of how to follow-up and move them along the sales process – something Infusionsoft will help you automate. The thing is, you have to know what information to ask and how to attribute this to sales intent. Then you need to create your lead capture quiz or survey in a way that gets the necessary info without adding too many steps. This can be particularly challenging when you’re taking the “fun” quiz approach where dull questions might kill the experience. Don’t forget you can reach out to users at a later date for more info and you can also use your targeting options to narrow down prospect information before they’ve even participated. 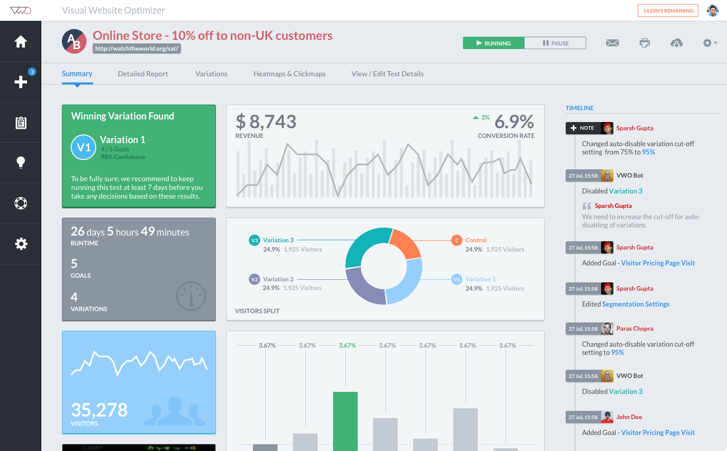 You need to find the right balance between acquiring the info you need from users without preventing conversions. Promoting your quizzes on social media brings two key benefits to your lead generation strategy. First of all, your quizzes are getting seen by a much wider audience but the real magic is in the targeting options you have to work with. This is especially true with Facebook and Instagram, which both allow you to narrow down on highly specific audiences. I mentioned targeting different users with personalised quizzes earlier and this is your best alternative (better yet, do both). You can create quizzes on Facebook in no time but you’ll want to set them up as advertising campaigns to get the best out of the network’s incredible targeting options. It’s kind of scary how specific you can be with targeting people on Facebook and Instagram but it gives you the power to get your content seen by the right people when it matters most. We have so many best practices and guidelines knocking around these days that things tend to all look the same. Homepages all look like homepages, web forms all look like web forms – and breaking these conventions is generally seen as bad UX design. However, this doesn’t always translate to better results. 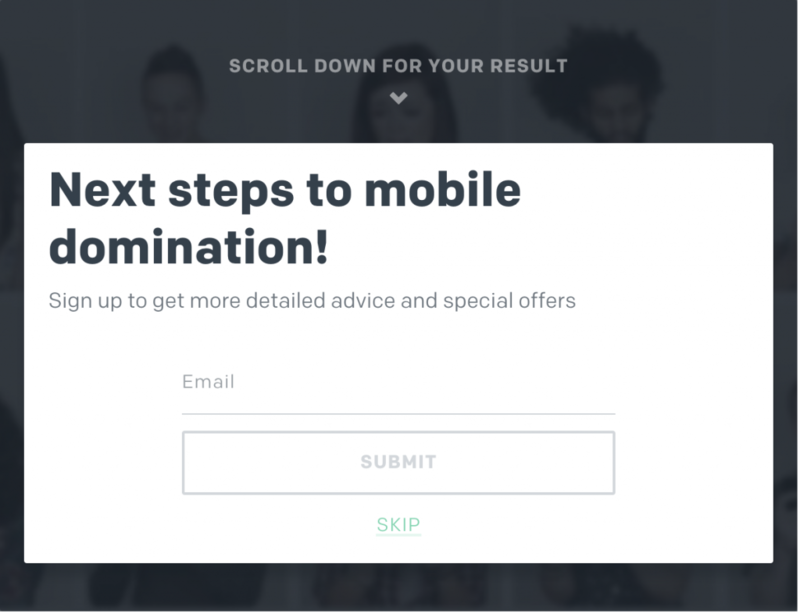 When I first started testing out multi-step forms on websites I found the designs that didn’t look like forms got the best results. People don’t like filling out forms so why make it painfully obvious that they’re filling one out? The same thing goes with quizzes and I’ve found using Leadformly‘s multi-step forms as a way to create “quizzes” works incredibly well. They don’t look like forms; they don’t look like quizzes – they just work. This quiz on Entrepreneur.com hits users with an offer in exchange for email addresses but allows them to scroll down for the results. Once users complete your quiz or survey you have the all-important task of asking them to provide their email address in exchange for the results. However, this presents a real UX barrier by essentially blocking users from the content they’re after at the last stage – pretty frustrating for them. You might want to work on alternative approaches. Let’s say the results from your quiz aren’t particularly good (eg: “You scored 6/10 for your lead generation techniques”). Why not give them the results right there and ask them to hand over their email address for more info on how to get their score up to 10/10? Don’t let the fact many brands fail to make the most of lead capture quizzes and surveys put you off. By asking the right questions you can make it hard for users to resist taking part and capture low-intent leads that might otherwise leave without converting at all.